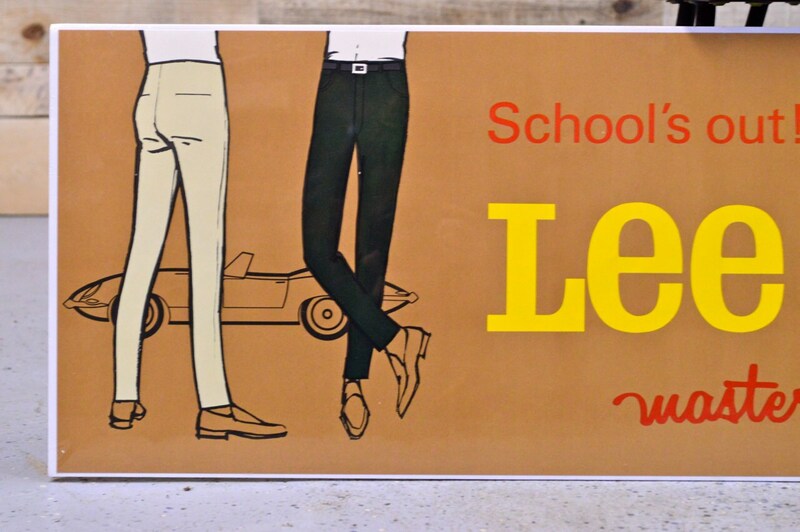 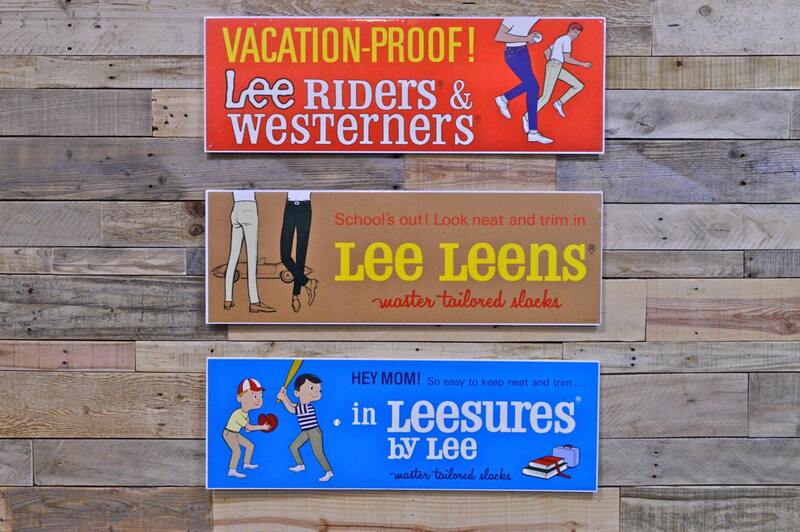 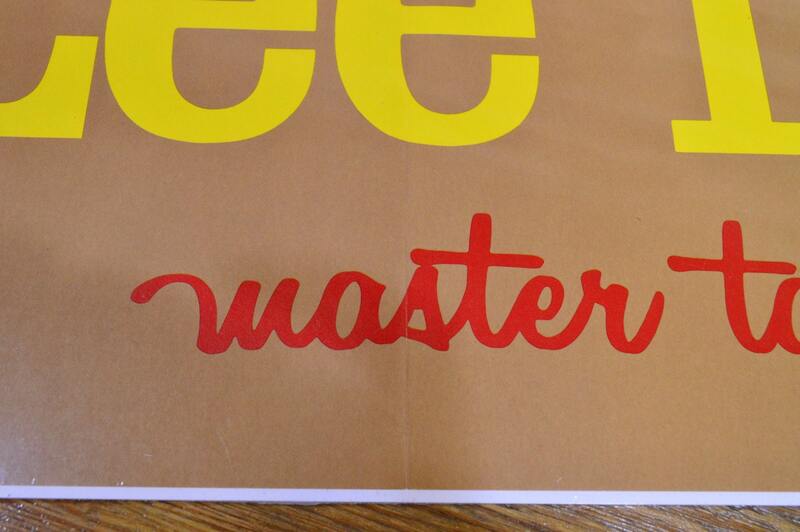 This is a paper advertising sign advertising the new Leesures line. 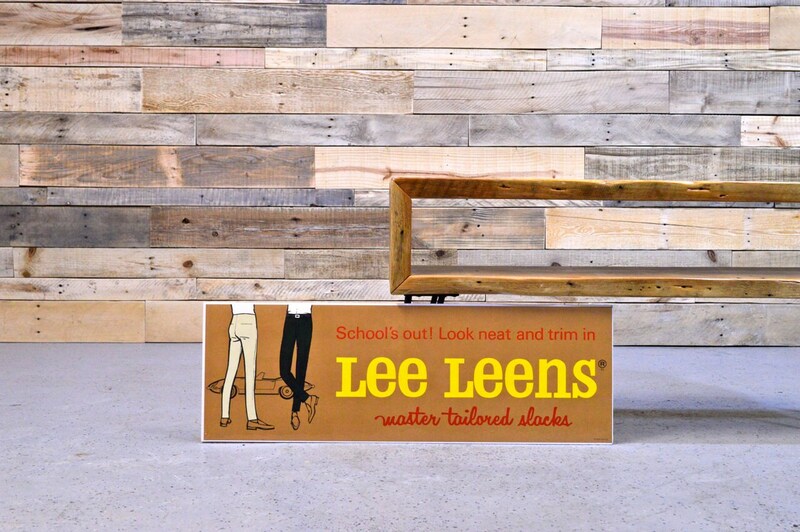 Lee started making Lee Leens in the late 1950s or 1960s (hard to pin down). 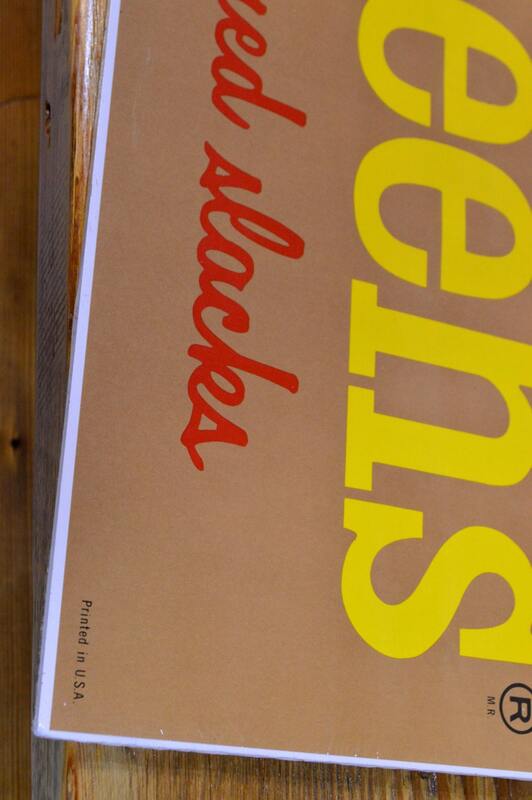 This dates somewhere in that range.